After the announcement that Denny Hamlin wouldn’t be able to race for at least 6 weeks due to his L1 Vertebrae Compression fracture, one thing loomed on everyone’s mind, who would fill in for Denny? 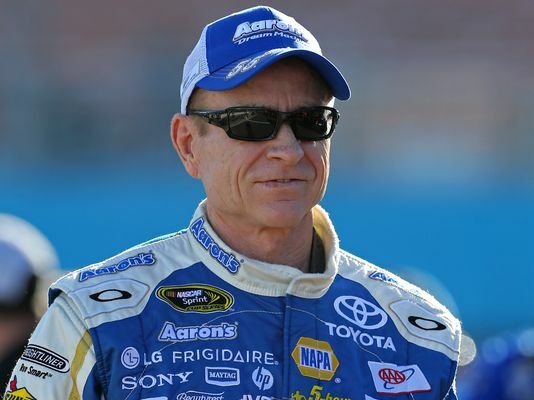 The question was finally answered today as Joe Gibbs Racing announced that Mark Martin would fill in for Denny. JGR. gave Denny input on who he would like to run in his car and feels very confident with Mark. “Like everyone in NASCAR, I have a tremendous amount of respect for Mark and I know he will keep that FedEx Camry up front until I get back behind the wheel.” commented Hamlin. Mark Martin is the perfect fit for this situation. He has clearly proven he is still at the top of his game in the Cup series even at 54 years old. Mark brings a lot of experience and knowledge to the team that will make it much stronger. Just look at what he has done with MWR helping to turn the team around from not making the chase, to a championship contender. This is definitely not a situation we wanted to be faced with Denny out of the car, but this is the best possible outcome that could have happened. One that will make the #11 FedEx team that much stronger and even more unbeatable.